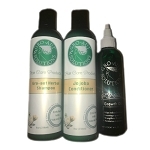 Gro-aut (grow out) Sulfate Free Shampoo - cleanses hair thoroughly and gently while providing nourishment to the scalp with out gro-aut herbal complex formula plus vitamins and nutrients to promote healthy and thicker growing hair. This unique formula enriched with our gro-aut herbal complex containing alma and bhringraj herbs plus aloe and lysine was designed to help you reach the hair length and thickness that you have always desired. Aloe vera promotes healthy hair and prevents hair loss. Aloe's positive effects on the skin are well known, and likewise it can help the scalp by healing it and balancing the ph level of the scalp while cleansing the pores. This shampoo made my hair feel and smell fresh. It wasn't drying and it didn't make my hair tangle up. I liked it a lot and I would repurchase this. Suffering from a skin condition that irritates my scalp and had caused my hair to thin I had a difficult time finding shampoos that were truly sulfate free. This shampoo is amazing and has lasted me close to 3 months, I alternate it every other wash with a prescription shampoo. It smells good and my hair feels and seems thicker and the best part is that I have not had any breakouts on my scalp since I started using it. 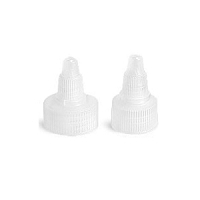 Ingredients: Water Decyl Glucoside, Cocamidopropl Betaine, Phenoxyethanol, Gro-aut Herbal Complex, Jojoba oil, Olive oil, Aloe, Glycerin, Pro-Vitamin B5, Hydrolyzed Wheat Proteins, Biotin, Lysine, MSM, Cyclomethicone, Xanthum Gum, Tetrasodium EDTA, Citric Acid.